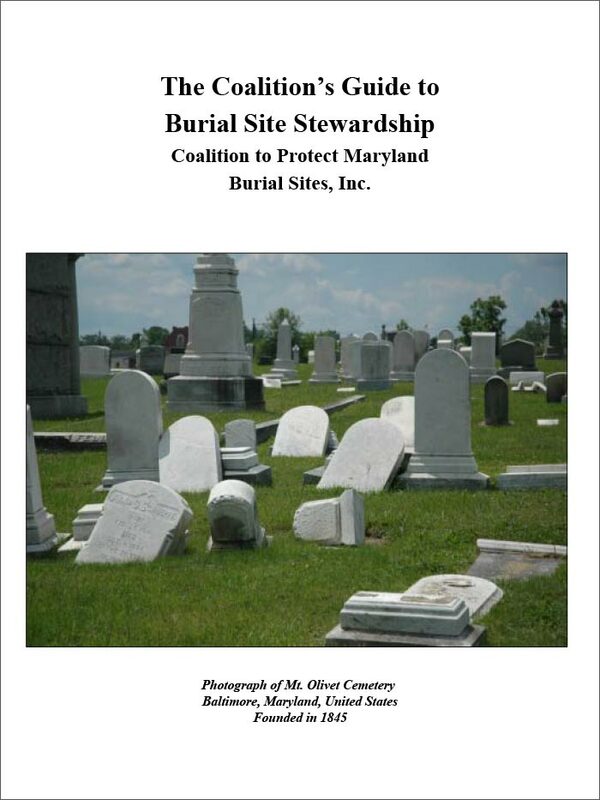 This 133-page guide provides information to assist individuals or groups on how to proceed when faced with a burial ground that is inadequately maintained, neglected, abandoned, or harmed by vandals. The chapters include: getting started; reading local/state laws governing burial sites before attempting access; access to burial sites on private property; types of cemeteries and their development; documentation and recordation; what are the next steps; cemetery CPR and maintenance; miscellaneous topics including: symbolism; gravestone rubbings; mapping; and foil impressions; a glossary; appendices; and an index. The Guide is available for $18 which includes shipping, handling, and can be purchased through the gift shop. We are now offering a digital PDF of this document for download. We only ask that you kindly make a donation to CPMBS at the bottom of this page and add a note to the form mentioning that you’ve downloaded the Guide. Chapter 8: What Are Your Next Steps? C. Directions for completing the Site Survey and Assessment Form.